Help the Friends and eat delicious food! Have a scrumptious slice of pie too! What a great combination! 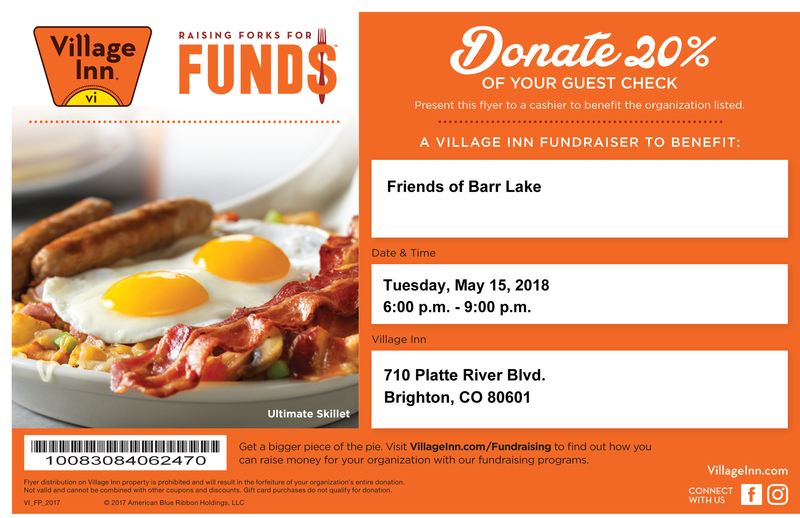 Please print this coupon and bring it to the <strong>Village Inn on May 15th between 6pm and 9pm</strong>. They will give us 20% of your tab to help us continue our support of fantastic activities at Barr Lake State Park. Please share with your friends and family! Let’s fill the restaurant! Print this picture to present at the restaurant, or show them your phone with this image!